Appealing exclusions: time for a review? 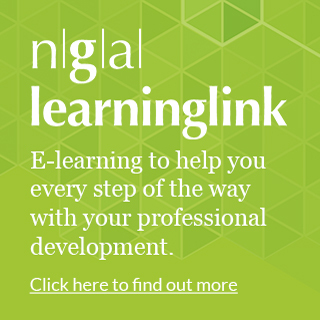 Home > News & Events > NGA latest news > Appealing exclusions: time for a review? Following an announcement from the Prime Minister that the Government would commission a review of school exclusions, in March 2018 the Secretary of State for Education asked Edward Timpson to lead this review. It was launched with a call for evidence which ran until 6 May. The review will aim to report by the end of 2018 to the Prime Minister and Secretary of State for Education. As part of the Timpson review, NGA has proposed that it is time for an informed review of the appeal system for exclusion decisions. Changes were last made in 2012 and since there has been no review of whether the system is fit for purpose (see below for a flowchart). NGA is suggesting that the review stage by panels of school governing boards may not be serving a useful purpose and that the process should include an appeal stage, entirely independent of the institution that made the decision to exclude the pupil. Why is NGA proposing this? Excluding a pupil is not a governance matter: it is an operational matter. 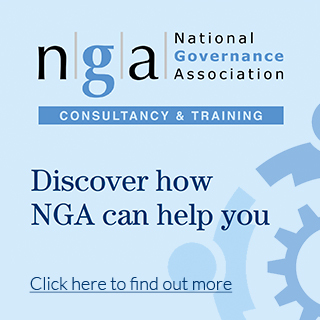 Governance is a strategic role that sets the vision, ethos and strategic direction of an organisation, and supports and challenges the executive. Setting behaviour principles and agreeing behaviour policy is fundamental to the ethos and culture of a school. The day-to-day implementation of the behaviour policy and decisions about any disciplinary action against students is entirely an operational matter for the senior executive leader and staff of the school. Exclusion of pupils is the ultimate sanction for a headteacher to take and is not done lightly. Some have suggested that to remove this responsibility from governors somehow ‘reduces’ the role or suggests that governors/trustees are ineffective. This is missing the point and indeed misunderstands governance. Reviewing a decision to exclude a pupil is not governance. It is interesting that non-admission to a school is a matter for a wholly independent appeals panel, but exclusion from a school which has the potential to be much more damaging to a pupil’s long-term outcomes is not. Behaviour is definitely within school governance. Appealing your own institution's decision is not. There is also an issue of lack of independence and expertise. The governing board is part of the institution; a panel reviewing a decision needs to be outside of an institution. Our proposal would be similar to teachers who appeal being sacked are heard by an employment tribunal. Governing boards are seen as being part of the fabric of the school and consequently there can be a perception by parents that any appeal will not be independent and, however, professionally panel members conduct themselves this perception is difficult to overcome. Anecdotal evidence from trainers and legal advisers is that not all panels are conducted well. In other sectors, there are independent tribunals to hear appeals; this would simply be applying that same independent standard to exclusions. It is also important that the perceptions of families and experiences of advisers are considered in this debate. Research from Sheffield Hallam University in 2016 revealed that the process is experienced by parents as inequitable with a bias towards schools. It has been suggested that the solution to this problem is more and better training: as it currently stands, training is critical to ensure that governors participating in a review panel are effective in their role, but this does not negate the argument that the role itself is not a governance one nor is it independent from the school. Our point is not one about the quality of people involved but about a system that is currently unfit for purpose. There are also concerns that, because they are part of the fabric of the school, governing boards have loyalty to the head and staff, and may feel pressure to endorse the head’s decision: an independent panel would eliminate this risk. Some governors have shared with us in confidence their experiences of being pressured by the headteacher or the chair to uphold the exclusion decision against their better judgment; or of repercussions to their ongoing relationships where they have disagreed with the decision. Above all, governors and trustees - and indeed NGA - exist to serve the interests of pupils. We do not believe that the current system of governors reviewing the head’s decision is in the best interests of children and that this is a matter of principle that the current system is not fit for purpose. There would also be a further beneficial side effect if the governor review panels were removed. As has been reinforced by our recent School Governance in 2018 report, many governors are spending a great deal of time on their voluntary duties, and for some, exclusion panels can add to that workload. In addition, the skills and knowledge required to conduct an effective exclusion panel are different from those required to be an effective governor. Quite rightly, governors need to be trained and prepare properly for such panels and this creates additional work: removing this additional task would reduce the workload and enable volunteers to focus completely on governance. NGA is following up this suggestion with the Timpson review and the Department for Education; we have not had any indication yet that any change is being considered. Should there be an opportunity to propose an alternative system then NGA will do this in consultation with our members. NGA values the voices of all and would also want to make sure the voices of parents were heard in any subsequent discussion. In 2012, the DfE changed the exclusions process. Prior to the change, a governor panel conducted a review of the exclusion and then an independent appeals panel, which had the power to overturn the decision and require the school to reinstate a pupil, made its decision. The current process has an independent review panel which can recommend that a governing board review its decision or quash the decision and require it to reconsider its decision, but it cannot require reinstatement. Our guidance and resouces on exclusions can be found here.